Houston, Texas, USA October 18, 2014; Notwithstanding the greatest challenge the Nation of Sierra Leone has been facing with the pandemic of the Ebola Virus, Songhai Technologies is pleased to announce the availability of the Sierra Leone App on Apple’s iTunes App store which was approved and made available for download on iPhone and IPads on Wednesday October 15th 2014. 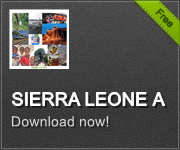 The Sierra Leone App is a community based multi-dimensional locality App that is here to serve the nation of Sierra Leone at home and its citizens overseas in the Diaspora making available a myriad of resources at the fingertips of every Sierra Leonean and anyone wishing to know more about Sierra Leone. The App is now available at the Google Play Store the Amazon App store and was recently approved for shipment with the new Amazon Fire Phone and now on the Apple iTunes Store for download. The App can also be downloaded onto Blackberry and Windows Phones directly from our landing Page at SaloneApp.com by also clicking on the Get It Button. The App contains many powerful resources as indicated and for a nation where mobile technology is king it comes in very handy. In the midst of the ongoing crises in the country Songhai Technologies Inc is working on a several innovations to augment and add several more features within the App that will serve most especially students in the country who are currently deprived from attending schools. There is currently a Learning Resources Link along with Educational Videos within the App through which students can access some of the most powerful online educational links tailored for every curriculum level ranging from Kindergarten to the Post Graduate level like Khan Academy and Coursera. Songhai Technologies through a partnership with the ACC also is currently running a reporting tool for the Anti-Corruption Commission through which Sierra Leoneans at home or anywhere in the Diaspora, citizens and non-citizens alike can report incidents of corruption. This comes in handy especially in a time of national emergency like this when the nation is receiving local and overseas assistance in cash and kind which may land in the wrong hands and unfortunately misappropriated. Stay Tuned with Songhai Technologies as we innovate to continue improving on the Sierra Leone App to keep you connected with Sierra Leone.